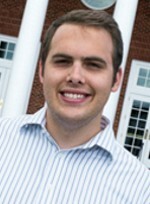 Andrew Mullins has been deputy director of federal relations since 2014. Homeschoolers are right to be wary of federal attempts to legislate unwanted programs and initiatives. Government funding of any program almost always hinges on numerous stipulations and conditions. After all, we got the Common Core through carrot-and-stick federal monetary incentives, offered to states in return for adoption of certain standards, tests, and curricula. Increased government regulation of homeschooling through incentives and initiatives is a real threat to our freedom. Because of that, we have consistently opposed attempts by the federal government to create voucher programs or provide federal education funds to homeschools. However, Coverdell Education Savings Accounts (ESAs) are not an attempt to provide federal money to homeschoolers, nor are they an attempt to exert federal control over homeschools. Rather, they are a way that families can put some of their own money into a savings account and let it grow, tax-free. The money can only be used for educational expenses, and these accounts provide a multitude of advantages over college–expense-only 529s. Back when these accounts were called Educational IRAs, individuals could only contribute $500 to their tax-free Educational Savings Account. The low contribution limit made the accounts unpopular, so they were reworked in 2002 as Coverdell Educational Savings accounts. Today, the accounts are only available to people of a certain income bracket, and have a maximum contribution limit of $2,000. Coverdell accounts work like a Roth IRA. After-tax money can be placed by an individual into their own account. There it can grow, collect interest, and be withdrawn for eligible expenses, without having to pay additional taxes. Families who use Coverdell ESAs can even invest the funds into stocks, bonds, and mutual funds. These accounts sound like a dream-come-true for thrifty homeschoolers, right? Wrong. Coverdell accounts can only be used for eligible expenses associated with private and public schools. In other words, homeschoolers are left completely in the dust, with no way to protect their educational expense budgets from taxation. This is where Senators Mike Lee (UT), Ted Cruz (TX), and Mike Crapo’s (ID) bill, S. 306, comes into play. This bill defines homeschools as private schools, only for the purpose of allowing them to use Coverdell ESAs. Because Coverdell ESAs do not use government funds (your own money, in your own savings account, remember? 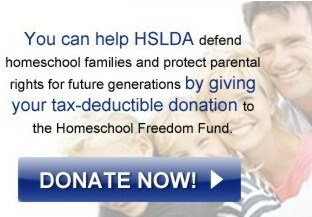 ), HSLDA wants homeschoolers to have the same tax-free savings for qualified expenses as every one else. In other words, S. 306 seeks to treat homeschoolers fairly. A common point of confusion for many people about S. 306 surrounds §101 of this bill. This section provides Title 1 federal government funding through the Elementary and Secondary Education Act (ESEA) to brick-and-mortar private schools. However, since this bill defines homeschools as private schools only for the purposes of §201 (the Coverdell section), §101 will not allow homeschoolers to receive federal Title 1 funding. HSLDA has opposed Title 1 funding for homeschools for decades, and will always continue to do so. As we move into the future of federal legislation and homeschooling, it is important to keep an eye to the past, keep up the fight for our hard-earned freedom, and move with caution into the future. HSLDA’s bill page on S. 306.